Lizzie Caunter, 22 from Paignton, Devon, has been awarded the Noble Foods Award. 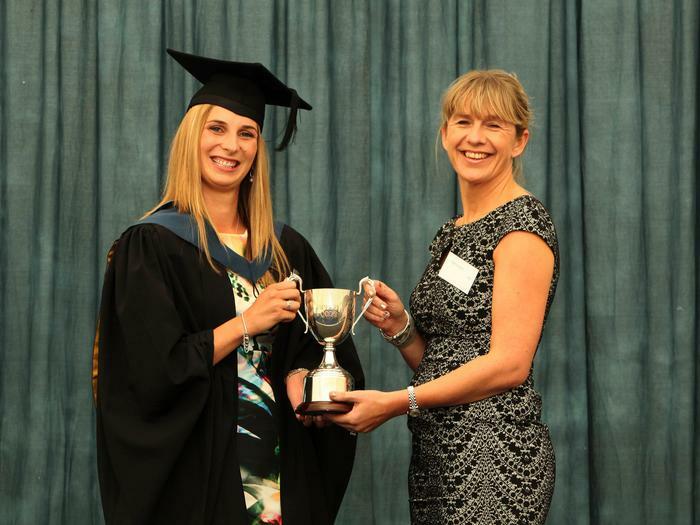 The award is given to the BSc Agri-food student who achieves the best final year average mark. Pam Whitehouse, course manager, said: “Lizzie was awarded a first-class honours BSc Agri-food Marketing with Business Studies degree. “She has worked very hard throughout her four years. The award was presented by Sarah Baldwin.